Colorado contains most of the southern Rocky Mountains and is named for the powerful river that rushes through it. The state has a myriad of settings, from alpine meadows, deep canyons, plateaus and mesas to deserts and dunes. Visitors can hike through canyons and up lush mountainsides in the summer and partake in all the offerings and festivals of the capital city, Denver. 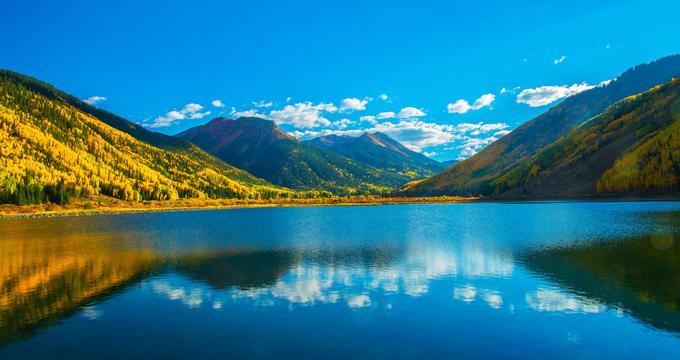 Here are the best things to do in Colorado. Cliff Palace and Balcony House are ancient cliff dwellings that the ancestral Pueblo Indians inhabited in the 12th and 13th centuries. 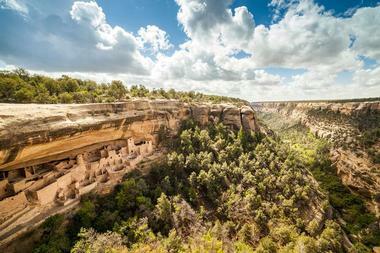 Located in Mesa Verde National Park, both are World Heritage Sites and National Monuments. Balcony House had forty-five rooms and two kivas (ovens), and it can only be accessed on ranger-guided tours. Tour participants must climb a thirty-two foot ladder and then crawl through a twelve-foot tunnel to access Balcony House. Its original dwellers would have climbed the rock face using narrow toeholds; its limited accessibility made it easy to defend against intruders. Cliff Palace was constructed in the cliff face with sandstone blocks, mortar, and wooden beams. It once had over 150 rooms and 25 kivas and was probably used for ceremonial purposes. As with Balcony House, Cliff Palace is only accessible on a ranger-guided tour. 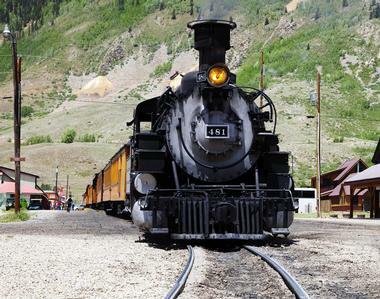 In 1882, a rail line between the mining town of Silverton, Colorado and the railroad town of Durango was opened in order to transport gold and silver. Three feet wide, the narrow coal-fired steam engines originally carried ore, miners, cowboys, and settlers, and it now transports visitors on an original train on the very same line. The Denver Botanic Gardens have the perfect combination of gardens displaying the best of western North America’s plant life and gardens created to mirror settings from around the world. Over twenty-four acres, the gardens highlight drought-resistant native western flora and adapted plants that work well in the western climate. They also have ornamental displays of perennial favorites: daylilies, roses, and irises. The Mordecai Children’s Garden encourages hands-on exploration of soil and water and has stroller parking, picnic tables, and year-round programing. There are many gardens dedicated to the serenity of Japanese strolling gardens and bonsai, a South African garden with hardy plants from their steppe region, and a greenhouse overflowing with tropical and subtropical flowers. Cheyenne Mountain Zoo is dedicated to conservation, captive breeding of endangered species, and comprehensive animal care. It aims to give every visitor an experience that will last them a lifetime. Founded in 1926, the Cheyenne Mountain Zoo is, as the name implies, on the slope of a mountain, affording both visitors and animals fabulous views, though it requires stout walking shoes and a degree of physical fitness. With over 750 animals of 170 species, the zoo is world-class, and contains the largest herd of reticulated giraffes in any zoo anywhere. A special feature of the zoo is the fact they allow visitors to hand-feed the giraffes, which are very tame. Hoping to inspire conservation action, the zoo has thoughtfully housed all of its animals in as natural an environment as possible so that visitors can understand the needs of each animal of each species. The Benson Park Sculpture Garden rests on ten acres of land in the heart of Loveland, Colorado. There are 148 permanent sculptures on display, representing almost every medium, and the pieces have been gathered from around the world. Beautifully landscaped and set around charming water features, the garden has wide paved walkways that facilitate wheelchairs and strollers. On the second weekend of every August, the Benson Park Sculpture Garden hosts Sculpture in the Park, which is the largest sculpture display and sale in North America. There is ample nearby parking, public restrooms, and picnic areas scattered throughout the park. 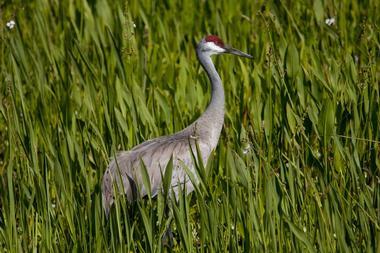 Admission is free, and the park is open all day year-round. 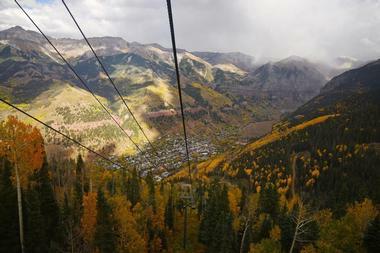 The Telluride/Mountain Village Gondola is the only free ride of its kind in the United States. Opened in 1996, it is both public transportation between the two towns, and a ski, snowboard, and mountain bike lift for visitors and residents wishing to use the ski runs. The thirteen-minute trip from Telluride to Mountain Village or vice versa lasts thirteen minutes and gives dramatic all-round views of the San Juan Mountains. The gondolas are wheelchair accessible, have ski, snowboard, and bike racks, and operate from 7:00 a.m. until midnight year-round. Blankets are provided at each station for your comfort during the winter season. The Denver Museum of Nature & Science began with one man, Edwin Carter, who in 1868 moved to a one-room cabin high in the Rocky Mountains and singlehandedly amassed the largest collection of Colorado fauna in existence. In 1908, the museum in Denver formally opened, and it made world headlines when in 1926 museum researchers found fossil proof that North America was inhabited over 10,000 years ago. Today, the museum is a center for education, research, and tourism. It is centered on family experiences and holds permanent collections and rotating exhibits. Displays of and about dinosaurs, robots, space, weather, and expert docents give every visitor a memorable trip, and the planetarium and the IMAX theater have revolving shows and delight all ages. An innovative children’s center is perfect for visits with young children. Bishop Castle is an incredible feat of one man’s desire to singlehandedly build a fortress in the midst of the San Ysabel National Forest. Jim Bishop purchased the land in 1959 and began building his castle after he got married in 1967. He wanted to build a simple stone cabin for himself and his bride, but he never stopped building, and now the castle is a huge masterwork of turrets, crenellations, arches, and an enormous steam-producing dragon built from stainless steel plates. It is a place of wonder, especially considering that Jim Bishop himself has laid every stone and worked every piece of wrought iron. Bishop Castle is open every day, and admission is always free, although there is a donation box if you wish to contribute. Construction is ongoing and not sealed off; parents are advised to keep a close eye on their youngsters while at the castle. In twenty-five acres of Colorado, more gold has been mined than in all of Alaska and California combined. The Mollie Kathleen Gold Mine was at the heart of Colorado’s gold mining industry, and this tour takes visitors into mine shafts and tunnels that have been worked since 1889. An elevator ferries visitors 1,000 feet below the earth, and it is not for the claustrophobic. Once inside the mine, former miners and descendants of miners give excellent guided tours lasting approximately 45 minutes, teaching visitors about gold mine conditions, showing them a century’s worth of mining equipment, and displaying a vein of gold ore still running through the tunnels. Above ground there is a gift shop and a seasonal diner. The National Museum of World War II Aviation in Colorado Springs focuses on education, primarily in helping visitors and K-12 students understand the role of aviation in the Second World War and how it shaped our world. The museum has twenty-two flyable aircraft in a hangar adjacent to both the Colorado Springs airport and Peterson AFB. In a second hangar visitors can watch volunteers restore World War II planes. Two-hour tours are docent-led, and each guide gives his or her perspective on the importance of World War II aviation. The museum’s aircraft includes a P38 Lightning, a B25 Mitchell, a Fairchild PT-19, a Beechcraft Model 18, and a Grumman F7F Tigercat. William F. Cody, aka “Buffalo Bill,” was a skilled bison hunter, a scout for the U.S. Army during the Indian Wars, and a world-famous showman who performed Wild West shows across the United States, in Europe, and in front of Queen Victoria, who was fascinated by him. 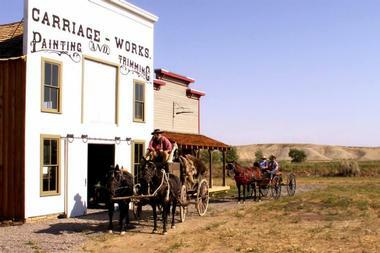 The small museum outside of Golden, Colorado looks at Buffalo Bill’s life from its beginning in Iowa Territory in 1846. The Museum of the Mountain West is the result of a lifetime of collecting artifacts relating to Old West history by Richard E. Fike, a historical archeologist and a specialist in embossed medicine bottles. As a child, Pike set up museums in his parents’ home, and as an adult he collected everything he could find, including buildings. The museum is set in a number of accurately built and preserved historical settings, including a church, a saloon, several residences, a dentist’s office, a railroad depot, a school, and a dry goods store. Visitors are permitted to (gently!) handle the artifacts within the museum, and skilled docents tell the tales of life in the Old West. Margaret “Molly” Brown is famed for surviving the sinking of the Titanic, but the woman was so much more than that. Born in Hannibal, Missouri in 1867, Margaret Tobin Brown was a socialite, philanthropist, and activist who tirelessly pursued rights for women, workers, and children, passionately believing in universal education and literacy. She helped to establish the first juvenile court in the United States and ran for Senate, albeit unsuccessfully. 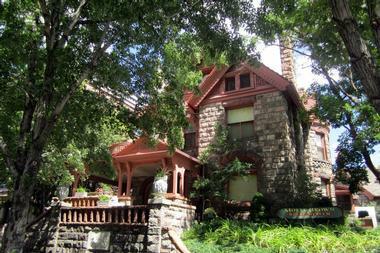 The Molly Brown House Museum is set in her home in Denver, and it has vast collections of artifacts belonging to her and her family, along with items relating to her circumstances and time period. Expert docents lead forty-five minute guided tours that begin in the home’s carriage house; educational programs are available on- and off-site. Located fifteen minutes north of Denver, the Butterfly Pavilion and Insect Center is a popular family destination filled with invertebrates, which are creatures without backbones. 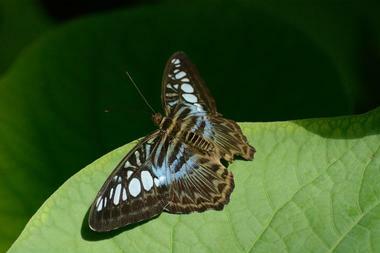 More than 1,600 butterflies flit magically through the tropical forest zone of the pavilion, hatching from cocoons and drinking nectar from flowers. Visitors can stroke sea stars and horseshoe crabs in the sea life touch zone, hold Rosie the tarantula, stroll on the outdoor nature trail, and watch bees while learning how vital they are to the future of the planet. The Butterfly Pavilion and Insect Center have educational programs for all ages, from young children to seniors, and a gift shop filled with interesting items. Brava Pizza is the brainchild of a Denver-raised, Italian-trained chef who sought to bring pizza back to its country roots with a focus on locally-sourced ingredients and techniques that bring out the full flavor of Neapolitan-style pizza. 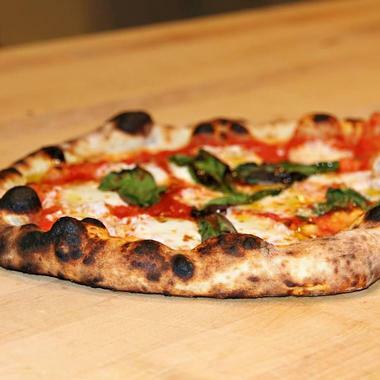 All pizzas are cooked in a wood-fired oven and served in an ambient dining room in the heart of Denver. More than pizza is on the menu. Dinner might begin with fire-warmed olives or house-made focaccia bread to dip in olive oil and balsamic vinegar. Entrees include bacon-wrapped, goat cheese-stuffed dates roasted in a wood-fired oven and meal-sized salads to be followed by delicious, creative desserts. The restaurant’s menu is reasonably priced and has something for all tastes. Catering is available. 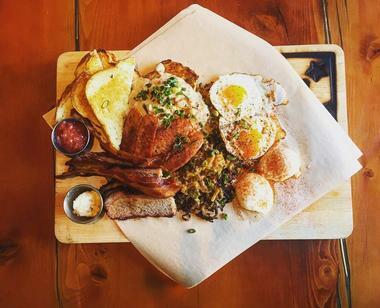 Located in an historic brick 1906 police station in downtown Boulder, the West End Tavern is a popular local watering hole and eatery with an incredible lineup of spirits and great pub grub. The cozy indoor space is brick-lined, furnished with oversized leather booths, and decorated with large-screen TVs. Most folks gravitate towards the rooftop deck, where they can enjoy one of 25 beers on tap or 75 varieties of bourbons as well as four single barrel bourbons. Enjoy your booze with superb barbecue, juicy burgers, and a selection of great shareable dishes while watching the sun set over the Flatirons. The Denver Art Museum is a world-class conservatory of over 70,000 works of art from around the world and in varied media. It has an excellent collection of American Indian art, which represents nearly every tribe across North America, and has the world’s foremost collection of American West art. Lovers of European art will be delighted by its inclusion of works by Monet, Degas, Renoir, Cezanne, and Pissarro. The museum’s holdings of African art include rare sculptures and focus on the works of the Yoruba people of West Africa. The museum is family-friendly, providing backpacks of activities for visiting children to help them explore the world of art, and it offers free admission every day for youth under the age of 18. The museum has a popular restaurant, Palette, and a gift shop full of interesting souvenirs. Cart-Driver takes its name from the carriettera, a cart-driver, who would bring fresh ingredients from southern Italy to the villages north of it. The Italian-trained chef who created this restaurant housed it in two cargo containers, providing a community ambience in a tiny space. Pizzas here are truly creative and use locally-sourced seasonal ingredients, and they are cooked in a brick oven while you watch. Toppings might include clams, kale, green strawberries, peaches, apricots, ricotta, and Spanish sausage. 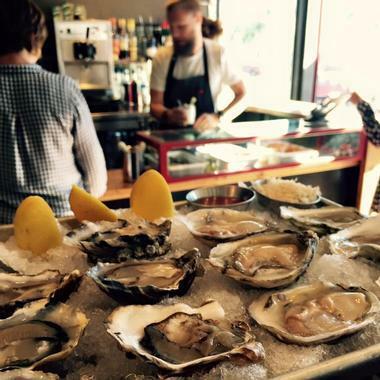 The restaurant is widely known for its selection of fresh oysters flown in daily from both the Atlantic and Pacific markets. With an excellent bar menu, an outdoor patio, and delightful desserts, this is a great place to unwind and socialize. Bonnie Brae Ice Cream is an award-winning creamery in the Washington Park district of Denver, Colorado. 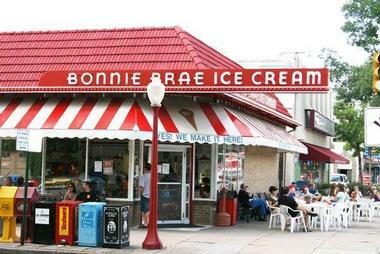 For over thirty years, Bonnie Brae has been making its ice cream in-house and serving it to generations of happy customers in its retro ice cream parlor, which has red vinyl seats and an outdoor patio. The shop has over one hundred different flavors of ice cream that include all your favorites plus unusual ones that you won’t find anywhere else. Come and try Caramel Cashew ice cream, have a scoop of Pineapple Cheesecake, a cone of Sinfully Cinnamon, a sundae made with Mocha Oreo, or buy a whole tub of Lemon Ginger or Gran Marnier Chocolate Chip Hazelnut. The store makes to order ice cream cakes and pies for special occasions in whichever size you need. The New Belgium Brewing Company is a brewery offering delicious beers, comprehensive tours, and tasty samplings. The 90-minute tours of the brewery are so popular that booking online at least a month in advance is advisable. The tours show the entire brewing process, including the packaging, and describe the company’s history and its core values. 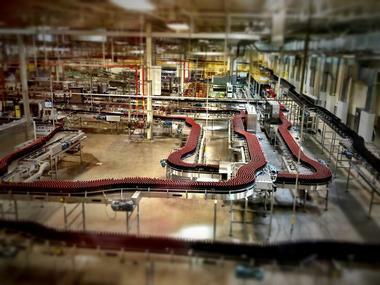 The New Belgium Brewery strives to leave the lowest possible carbon footprint and is working towards becoming a zero waste facility; beers are manufactured using the cleanest water available. Tours include tastings and brewery games; a children’s play area is available and dogs are welcome. The brewery also holds free weekly yoga classes. Hovenweep National Monument, run by the National Park Service, contains six prehistoric villages built in the Pueblo area between 1200 and 1300 A.D. Balanced on the rims of canyons or perched precariously on boulders, the dwellings are viewable from a two-mile hiking trail through a small canyon. 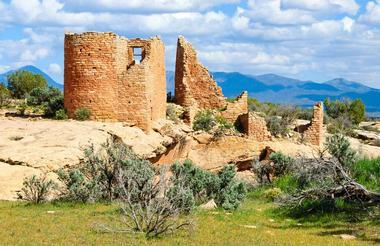 The multi-tower buildings are still well preserved after eight hundred years, and seeing them is worth driving to the remote location on the Colorado/Utah border. Dogs are welcome on the hiking trails. The Square Tower Group has a small interpretative center, and rangers are available throughout the park to answer questions and give guidance. Hovenweep has a primitive 31-site campground that fills up on a first-come, first-served basis. 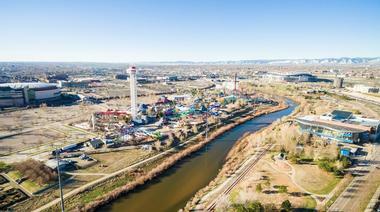 Elitch Gardens is a theme park and water park in the middle of Denver. It is a park that all can enjoy; there are thrill rides and other attractions that are geared to families and small children. You can also find a large selection of wild metal roller coasters, experiences that drop riders from a great height, and a huge Ferris wheel. Kids will enjoy the carousel and trips in airplanes and trains that entertain without being frightening. Island Kingdom Water Park is a huge wet playground within Elitch Gardens with a whole assortment of water slides, including ones with enormous drops, and others that hurtle you at high speed. For families and children there are a lazy river, a wave pool, and slides geared to small tykes. In 1833, brothers William and Charles Bent and Ceran St. Vrain built a trading post on the Santa Fe Trail that led from Missouri to Mexico. The fort was built to enable fur trade between settlers, travelers, and the Arapaho and Cheyenne Indians, who came peacefully to exchange buffalo robes for other goods. 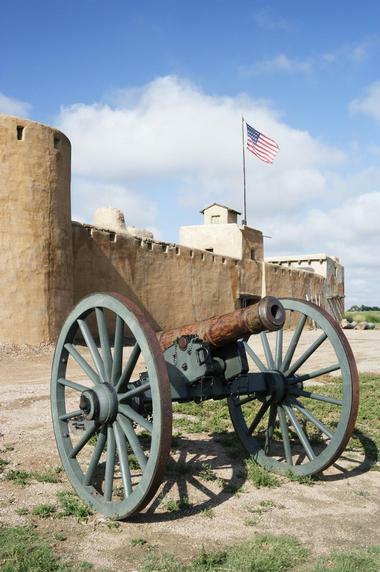 Bent’s Old Fort had an important secondary role as the only permanent settlement on the Santa Fe Trail, and it was a godsend for travelers and soldiers who could stop for repairs, replenish their supplies, and enjoy good food, water, and company. Disaster and disease closed the fort in 1849; reconstruction began in 1876, and guided tours of the fort are a must for families and history buffs.